Relationships are at the center of human experience, and at the heart of trauma. When we study trauma, we see how trauma stems from relationships, but recovery also depends on them. Grounded firmly in attachment and trauma theory, this book offers ways to aid clients in self-understanding and attending to their past traumas by using shared retellings in therapy to bring recovery and growth. In therapy, we see how relationships are central to many traumatic experiences, but relationships are also critical to trauma recovery. Grounded firmly in attachment and trauma theory, this book shows how to use the psychotherapy relationship, to help clients find self-understanding and healing from trauma. 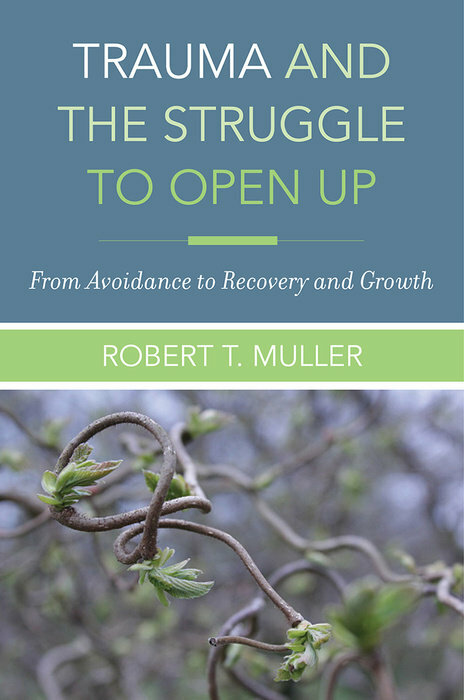 Offering candid, personal guidance, using rich case examples, Dr. Robert T. Muller provides the steps needed to build and maintain a strong therapist-client relationship –one that helps bring recovery and growth. With a host of practical tips and protocols, this book gives therapists a roadmap to effective trauma treatment. 3. WHAT UNDERLIES AVOIDANCE IN TRAUMA? Robert T. Muller, Ph.D. is a professor of clinical psychology and a supervising psychologist at York University, specializing in trauma, attachment, and psychotherapy. The author of numerous scholarly articles, he is lead investigator in a multi-site program to treat intra-familial trauma. He has over 20 years of clinical experience in the field, and practices in downtown Toronto. He is also winner of the Written Media Award, from the International Society for the Study of Trauma and Dissociation.